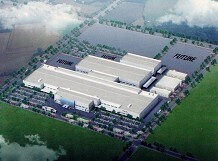 The first stage of execution Factory Heesung Electronics Poland in Biskupice Podgórne, near Wroclaw is over. Company Heesung is a world leader of LCD element suppliers. Near Wrocław, Heesung built factory (buildings space 125.000 sqm) producing BLU type equipment and elements for TFT-LCD. Elektromontaż Rzeszów executed MV and LV installations and internal lighting installations. Elektromontaż Rzeszów SA will put into practice ERP package - TETA 2000 system created by company TETA . The agreement was signed by TETA trading partner - company BMM from Rzeszów. 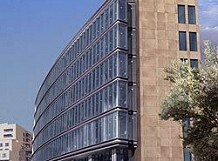 The project has started on March 2006 and the end of works is scheduled for the half of the next year. Eng. 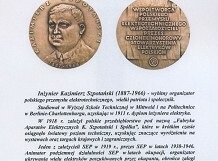 Zbigniew Sowa, director of Production Plant was awarded "Medal im. inż. Kazimierza Szpotawskiego" for works related to "Steel and Aluminium Lighting Poles and Masts". 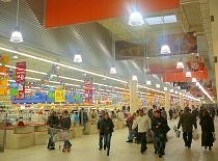 Execution of shopping center Auchan Krasne near Rzeszów is finished. Opening was on 7th of November 2006.